Glashütte Lamberts de Waldsassen (Germany) and Madrid (Spain), 2013. 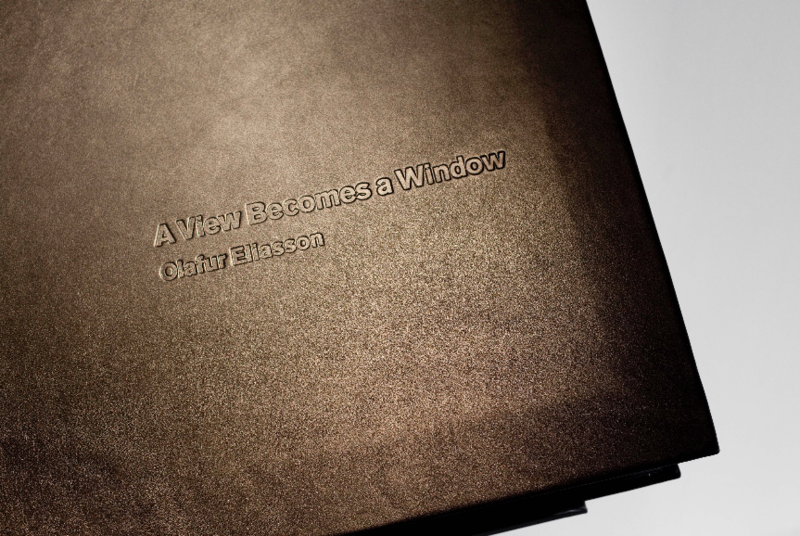 Olafur Eliasson’s A View Becomes a Window, created for Ivorypress, is an edition of nine unique books. 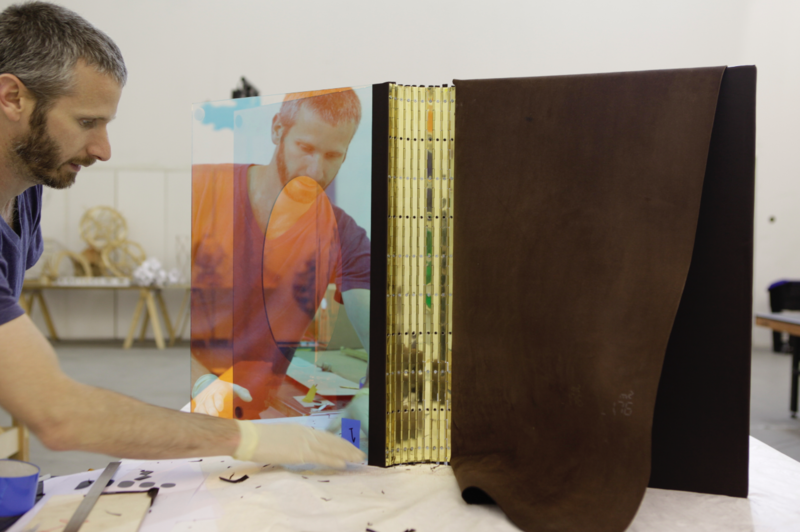 In lieu of pages, the leather-bound volumes contain a variety of glass sheets of various colours, qualities, and degrees of opacity. 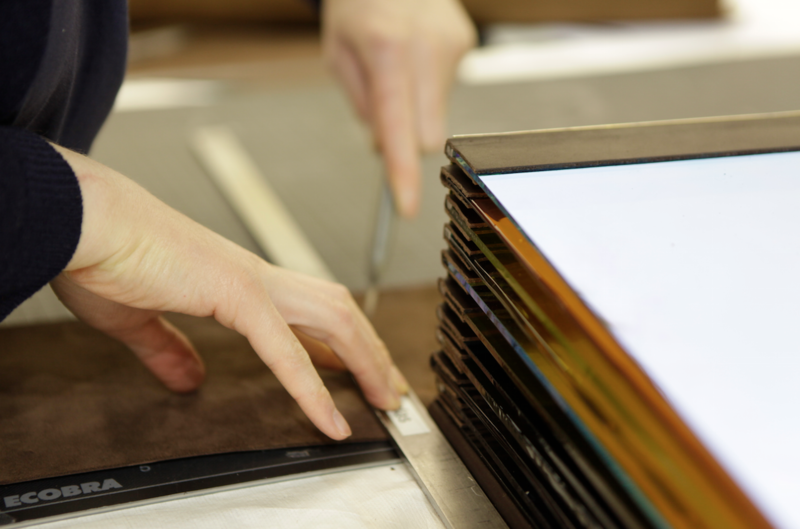 The glass pages were hand-blown by artisans from the Glashütte Lamberts, in Waldsassen, Germany, one of the few remaining glassworks in the world capable of producing large-format hand-blown glass sheets of this quality. 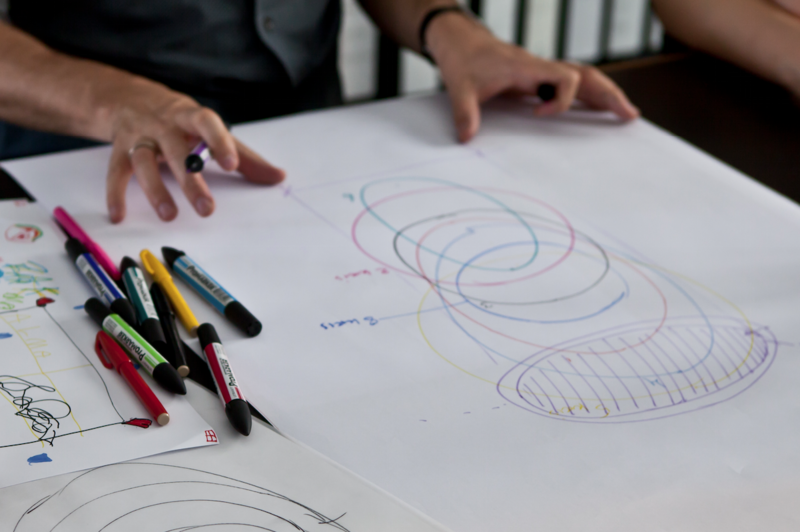 Because they are handmade, the edges of the leaves are irregular, and each bears the imperfections of its production. The portrait-format books are best perused opened upon a bookrest. 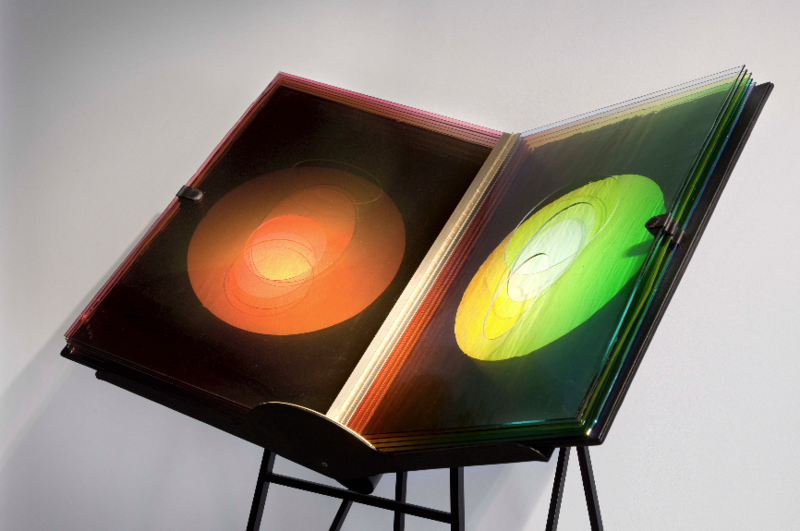 Reminiscent of an atlas in size, they are literally full of illuminations: light is reflected, refracted, and conducted by the glass pages. 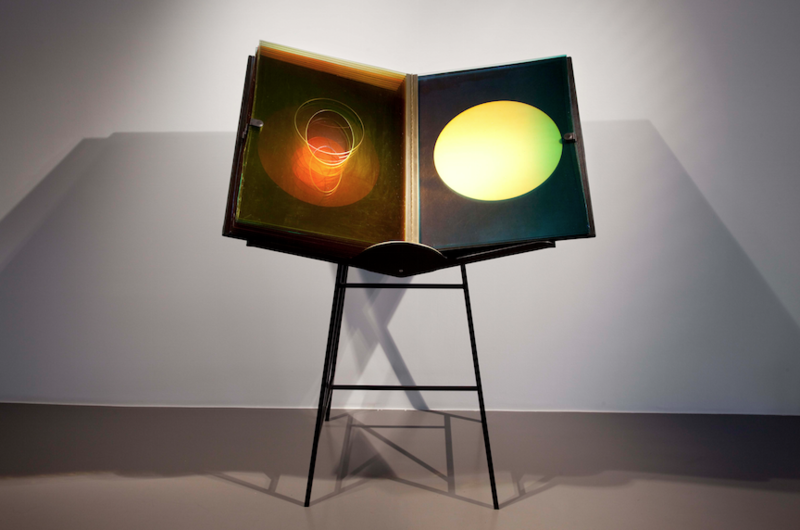 When the pages are turned, the layers of coloured glass create complex reflections, so that the viewer becomes the protagonist of the book’s playful mirror narrative. 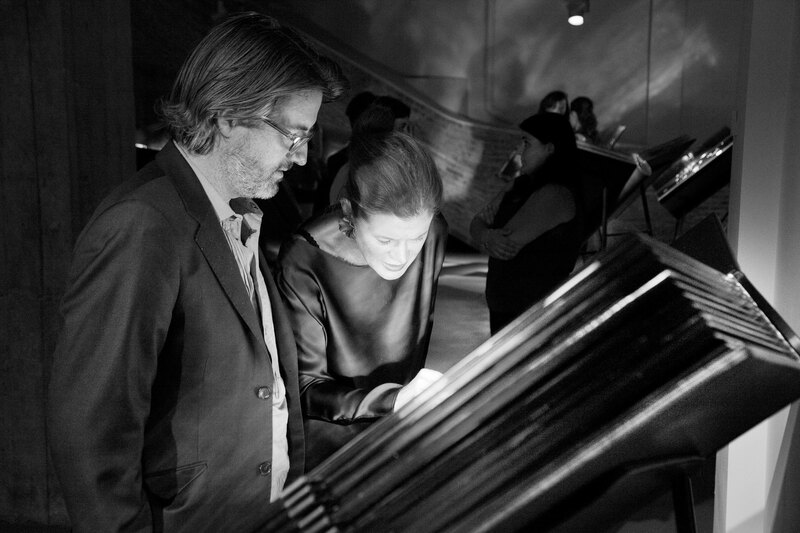 The experience is heightened by the use of colour-effect filter glass for the first and last pages. 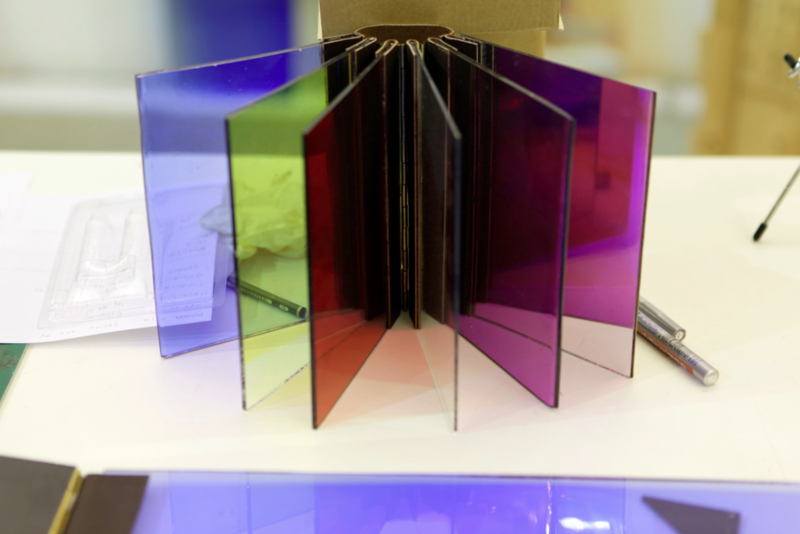 With a solid background behind these pages, they act like mirrors, but when light shines through them, they appear translucent and create a dichromatic effect, reflecting light in the complementary colour to that of the glass. 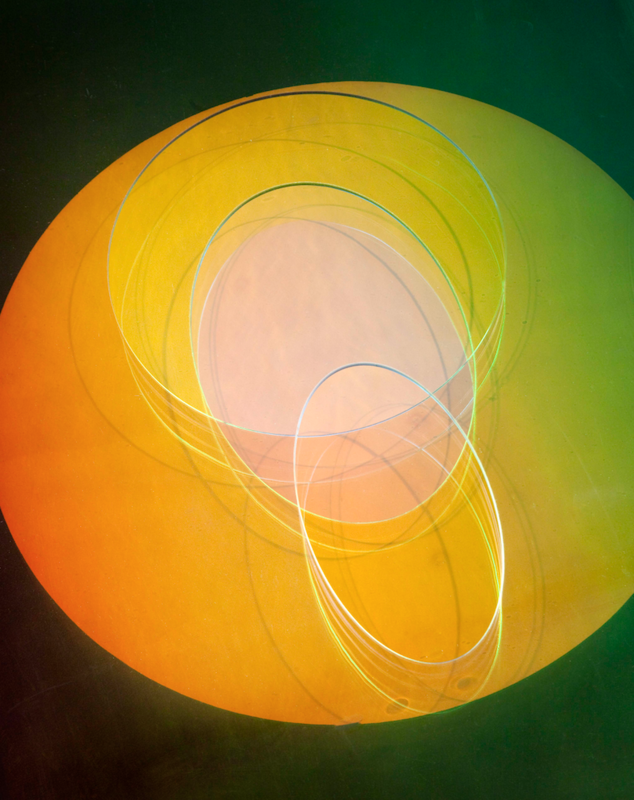 Cut directly into some of the glass plates, ellipses and circles frame the lector’s face as she turns the pages. In the multi-layered reflections, she witnesses her likeness slip across the vitreous surfaces, fade, and jump out in crystalline clarity.